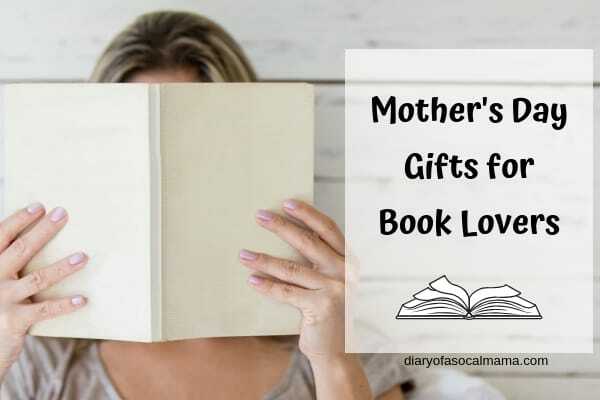 Looking for an amazing Mother’s Day gift for a mom that loves to read? Any book lover will love these fun, unique gifts centered around their favorite hobby…reading! There are so many great gifts to choose from! Here are 9 ideas to get you started. Most of them are inexpensive, so grab 2 or 3 and create a special gift basket just for your own book-loving mom. Scroll to the end of the post to get our printable coloring bookmarks. They pair perfectly with any other gift and are easy for even toddlers to make for mom! 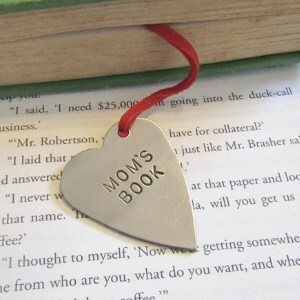 Mom’s who love to read are always looking for a bookmark. Get them a customized one in a fun heart shape. You can even customize the ribbon to be in their favorite color. A special and unique Mother’s Day gift that they’ll use again and again. Most moms’ run on coffee or tea. 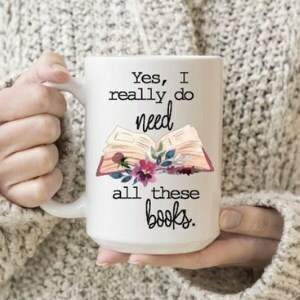 Get them a special mug all about their book obsession. So much for Marie Konde, who could choose which books to get rid of?! Be sure to pair it with a bag of their favorite coffee or tea and a gift card to their favorite book store. 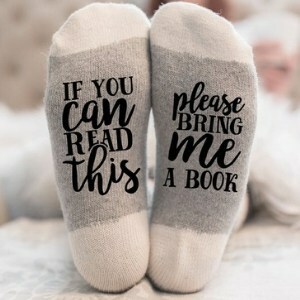 Keep their toes warm with these cute reading themed socks. Perfect for cozy afternoons curled up with their favorite book…if they can ever get the kids to nap! I’ve never seen a lamp quite like this one! It actually folds up if you need to store it small and then opens into this light that looks like an open book. Definitely a unique give for any bibliophile. This book themed infinity scarf is a gift any book lover would love to have. It’s the perfect accessory for any outfit…and any book! For any mom that enjoys a cup of tea these novelty tea bags make a fun gift. You could even pair it with the mug above! Each tea bag has a tag with a famous literary quote. A new shirt is always a fun gift. 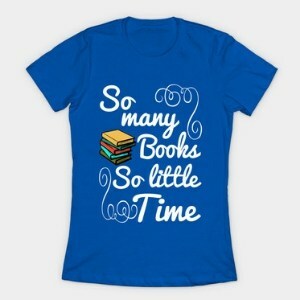 This one reads “So many books, so little time” perfect for your favorite book-loving mom. Lastly, consider a gift of Kindle Unlimited! Let mom read or listen to unlimited books! That’s a dream come true for any book reader. Check out these other great Mother’s Day gift ideas!